I started my journey with GOQii in the month of June. At first, I was reluctant to buy the same as I was not sure if this will help me in any way. My life prior to GOQii was haywire with wrong sleep and eating habits. I would sleep late and wake up late and hence eat breakfast at 10 am followed by a heavy lunch and heavy dinner late at night. I would wait till I got hungry and then eat like there was no tomorrow. My water consumption was low at just 1 litre per day. 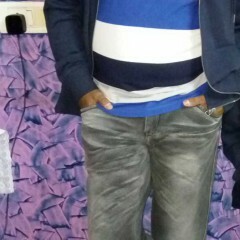 I was 10 KG overweight at 78 kgs and was like that for 8 years or more. My waist size was 36. I use to feel happy wearing a 32 size (Lycra Jeans) thinking that my waist is still 32. I stopped wearing my favourite round neck t-shirt only because either it was loose on the shoulder or tight on the stomach. I do and what not but, somehow, somewhere something was missing. I feel that somewhere something was missing. I would keep changing my routine and try all sorts of things. If one plan did not work I would shift to another. For sure I knew I was not a lazy person but, I was doing something wrong which is why I was the way I was. Despite, indulging in activities my weight was the same. I did not understand what was going wrong and I had nobody to guide me on my health and fitness. I got to know of GOQii from my colleague who was wearing one. He told me about the personal coach feature along with the band that tracks your activity and sleep. The feature of coach attracted me to GOQii and I decided to give it a shot. I selected Dimple as my coach and started using the device. I use to get regular updates from the coach on what to eat and what not to. I also liked GOQii’s app features and how the coach can discuss with you on chat through your regular updates on the app. 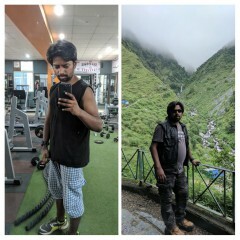 After using the GOQii features sincerely for 2 months I personally started feeling the changes within me. Though there was not much difference in the weight but because of eating right and regular exercise, I started feeling better and energetic than before. I even convinced few of my friends to buy GOQii and get on the platform and we started having competitions among ourselves on step counts and what we are eating and what we are not. After 4 months on GOQii, I enrolled myself for my first short run of 5 km and am I glad to say that there has been no looking back since that first run. I think this has been possible only because of the right guidance from my coach. The moment I realized there is someone to watch over you and guide you, I knew I wanted to be on GOQii platform. 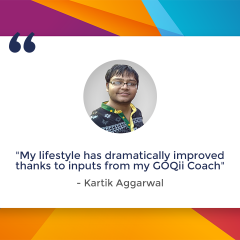 Personal coaching is one of the best things about GOQii. Before, I started chatting with my coach Dimple, I thought my food intake and whatever activity I was indulging in is good enough to maintain a healthy lifestyle but, after having a discussion with her I realized how small things matter a lot to maintain a healthy lifestyle. In term of activity, she set up a goal to achieve 10K steps count every day. Best thing I liked about my coach is that she did not ask me to take up anything new. After knowing my interest in Tennis she asked me to pursue the same. Along with activity, she helped me understand the benefit of water and food intake. * Importance of having food within half an hour of completing the activity. After going through my daily routine Dimple made few changes in my meal pattern. We sat together and prepared a meal chart. I started following Dimple’s advice sincerely and slowly and steadily introduced changes in my daily routine. After few months even though there was not much difference in the weight, I somehow felt good from within. Above all, my coach kept me motivated through this period of my healthy transformation. Today, I feel great about myself. I am 12 kgs lighter now. Now the number of selfies has increased from none to too many. Compliments are pouring in. I have motivated 10-12 of my friends to take the healthy path and they are also now a member of GOQii. We are a group of friends and we try to have a healthy competition among ourselves. Some of my colleagues wanted a lifestyle change and I suggested GOQii to them and without explaining anything they blindly became the member of GOQii by saying I have seen changes in you and that is more than enough for me. Feels great, I remember seeing one of my colleague participating in the marathon and I thought to myself if he can do it why can’t I? I ran my first 5k marathon 4 months after joining GOQii and slowly shifted to running 10km. It’s been more than a year with GOQii and as of today, I have run more than 12 marathons (two 5km and ten 10KM) with the best time of 1hr3min. Last two marathon I ran non-stop. Done couple of 50km cycling and recently completed 100KM cyclathon and completed the same in 6 hr 55min. Also, because of the fitness and stamina, I was able to win both Singles and Doubles in Tennis tournament organized by the academy where I was practising. Recently I have been introduced to badminton and gradually doing great in that as well. Last but, not the least I am also doing well for the society as I keep myself healthy. I donate my karma points earned to a good cause that is registered on the GOQii app. The concept of earning Karma points is a win-win for both the user as well as the charity. The more steps you do to keep yourself healthy, the more points you earn. When I had my first interaction with Vishal Choudhary. He mentioned he was looking for a weight loss journey as he was 10kgs overweight. He had tried everything but was finding it difficult to reduce. He had some really good health goals in mind to achieve but no right direction and he just needed that right push to achieve them. We decided to take small baby steps first to get to achieve his health goals. I explained to him why it was important to achieve those health goals and how we could work together towards achieving these…! 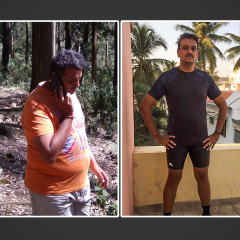 I initially set small goals for him such as increasing the fibre intake in the form of salads and fruits which help us to decrease the body fat combined with small walks. He took some time to regularize his daily routine but, yes he did it really well and his interests started showing up in the different form of exercises like long hours of walk, going for cycling and finally he started participating in short runs. This was one of the best things that had happened to him. Every run gives him different energy and makes him ready for the next challenge. I clearly remember his first run was a 5km one and slowly he has graduated to 10 km and participates in every single run that happens near the vicinity of his residence. The best thing about Vishal is, he never says ‘NO’ to ‘ANYTHING’ even when I decided to add an extra modification to his routine in terms of food or targets. He took up the challenge and decided not to put a full stop and keep at it. I brought about dietary changes wherein I introduced him to the concept of pre and post workout meals, some healthy mid meals evening snack choices, different seeds benefits, apple cider vinegar, good protein and he has learned to keep the dinner meal light. Sometimes he does have a cheat meal day. With these wondrous dietary changes along with regular workout routine, there was no doubt that he could not reach his goals. Although his weight reduction took a while slowly and steadily that improved as well in a couple of months’ time. When that started happening automatically there was belly fat loss and finally, he lost all those extra fats from his body and he’s still motivated and working on his goals in a perfect way…!. He kept feeling better each day.